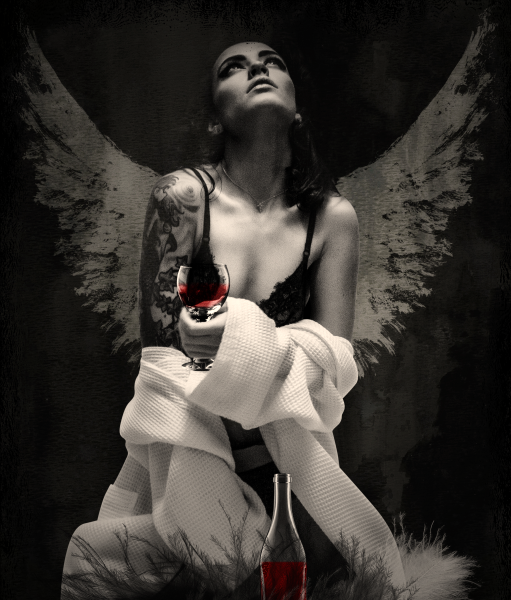 Lilith held a glass of red wine and gazed into a floor length mirror. She toasted herself and winked at the seemingly young beautiful lady staring back at her. This night had been busy and filled with hard work. Even with all her magic and strength Lilith was tired and in need of a bit of relaxation. Good thing she was prepared for just that. Again she looked upon her lovely form. It made her giggle a bit to think how surprised her prey always were. She looked so dainty and sweet. The poor fools didn’t stand a chance. Her true self was something that was inconceivable to most.